It’s been a while since I posted a long post, so I thought today was the day to get down to business. 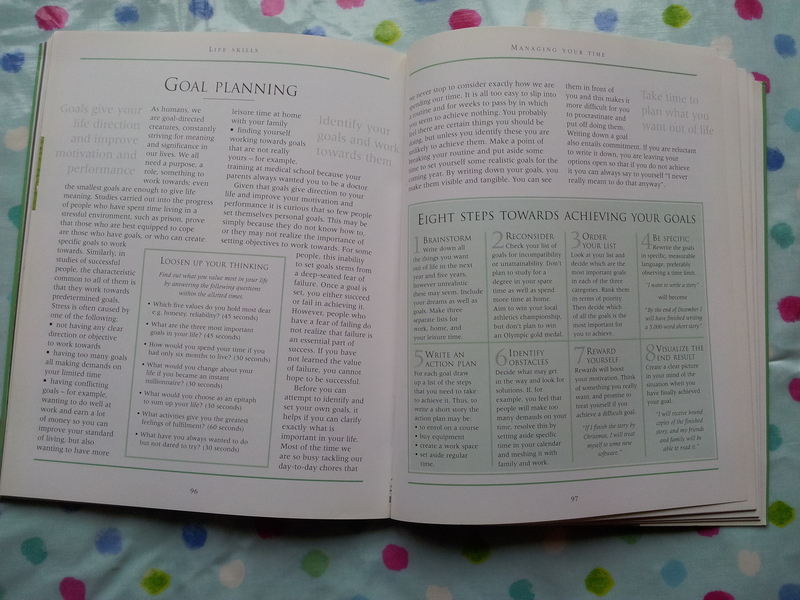 Yesterday’s goal for the day was to fill in my new agendas and calendars, only I got a little caught up with making New Year’s Resolutions and goals that, well, let’s just say I had no time for my day’s goal. 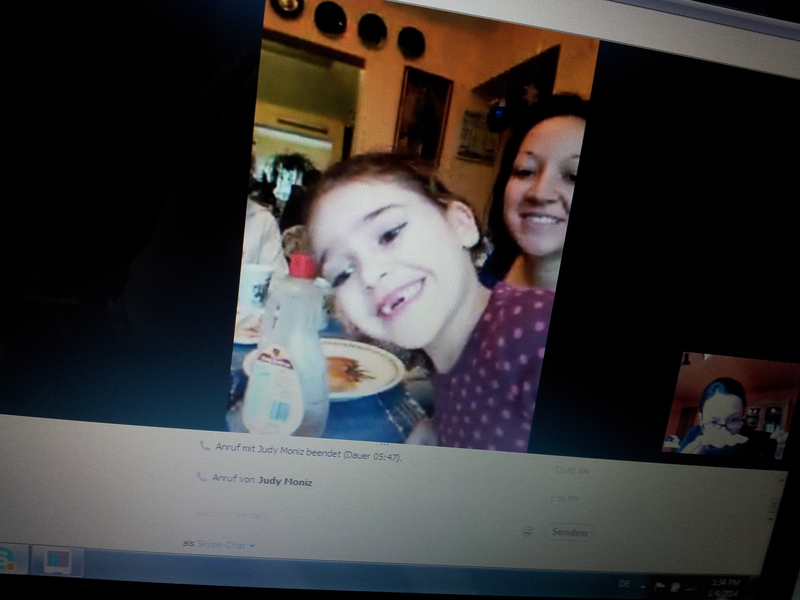 Before I knew it, it was 14.00, time for my Skyping breakfast with my family that my mom had organized. Of course this was quite a painful process as I proceeded to watch them all down my mom’s delicious pancakes!! It was great, no, seriously. Skype has been my savior this year. 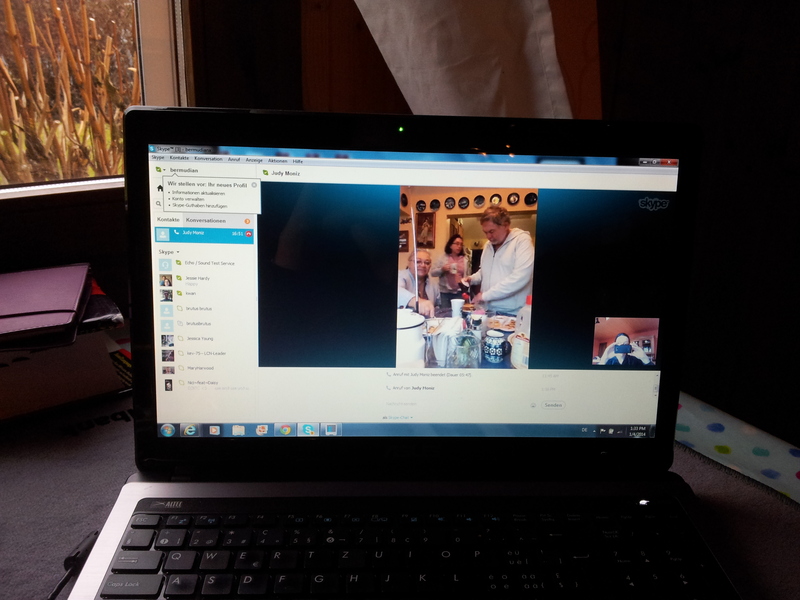 I’ve never felt more included in things than this Christmas, when I Skyped every holiday (25, 26 and 1st). Let me just say, life is a little exhausting when you live in two different time-zones on two different continents; at least at Christmas. 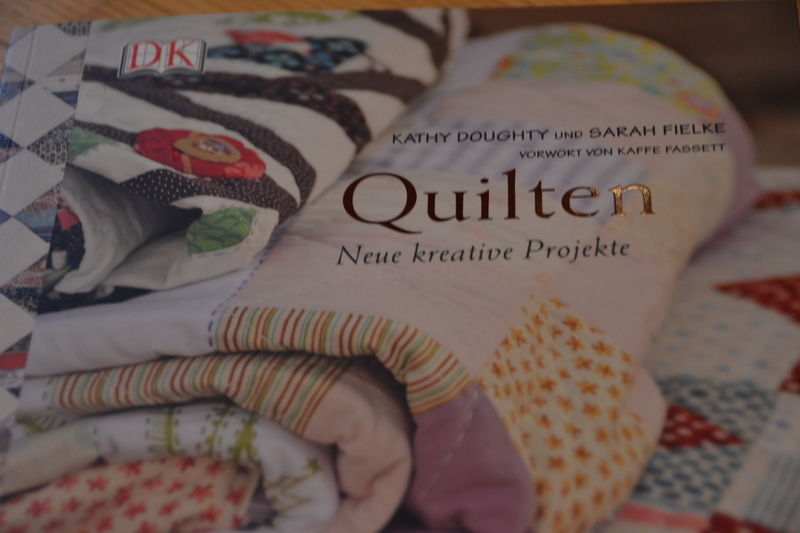 At some time during this big Skype session, my friend Kemi came to drop off my Christmas present: a new quilting book, yeah! (More on that in another post). Well that was it, end to a peaceful Saturday afternoon! Didn’t he realize how much I’ve been doing all day? When exactly does he expect me to get any quilting done? “Hello, who are you? The Quilting Police?” I thought to myself. As we devoured this particularly delicious specimen of my homemade Älper Magronen, we were discussing his day and my day (he had to work) when he said something like, “Maybe your (podcast) readers don’t want to hear so much about your family”. “My family? But it’s Christmas?” I replied. “Yeah but maybe they would prefer to hear more about quilting, maybe you should stop blogging about things your family are interested in(i.e. 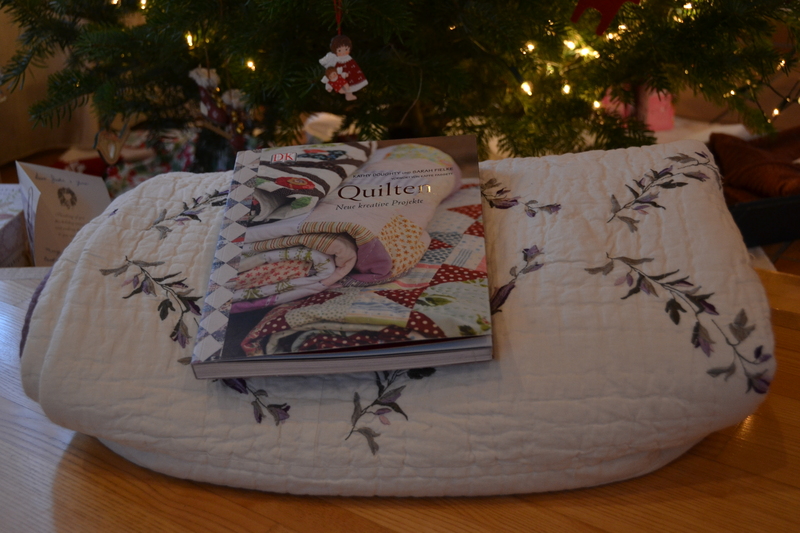 Christmas) and start blogging about quilting, i.e. get some quilting done”. Totally perplexed, I asked him to explain his concerns, because I was so dumbfounded by these comments that I hadn’t a clue what he expected from me. God, can’t, Swiss men (i.e. my Man), just spell out what the h*** they want to say, and stop taking all day to say it! So, hope you enjoyed my little ‘quilty’ anecdote for the week! Please, if anyone else has any experiences with the QUILTING POLICE, that they are willing to share, please write me, I would love to hear about it! You see I think I may need to join some support group or something!!! Hee hee! Ok trouble maker. I will try to make these amendments. And are you talking about the screen shot, which you may only have been there for a second, gracing me with your presence before going off? Just kidding. Not quilting police but my paints are covering the kitchen table and I will definitely have to strip, sand and stain it again once I I’m finished! I get you and we LOVED seeing you last Saturday and will have to plan it again soon! Me to, it was sooo much fun!!! Get your mom on skype! I can’t wait to talk to you guys again!! Have lots of fun at school. See that paint thing, it’s a messy business, that’s lasting. Kind of why I dropped it. Ok if you were to see my new Craft room downstairs you would say quilting is a messy business.